031 - USA - 2015 - John Macs Travel & Photography. 031 - USA - 2015. 031 - Las Vegas, Nevada, USA - 2015. Today we set off from Laughlin, Nevada to Las Vegas, Nevada. On our way there, we stopped off at The Nugget Casino in Searchlight, Nevada, for breakfast. "Excellent Breakfast". On our way to Las Vegas we also stopped off at Mike O'Callaghan–Pat Tillman Memorial Bridge. 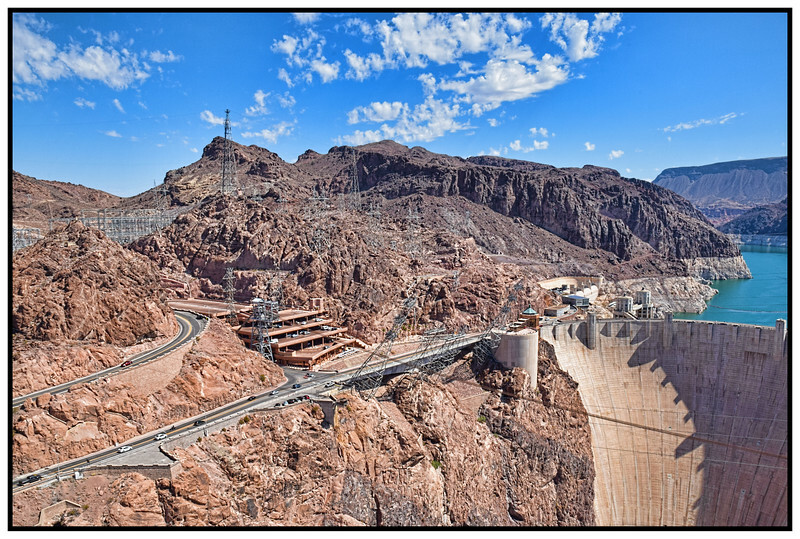 We had a walk over the bridge, and while on the bridge we took photos of the Hoover Dam, Arizona/Nevada. A fantastic feat of engineering. Arrived here at The Palazzo Hotel in Las Vegas, Nevada @ 12:00 noon. We got an upgrade from the equally beautiful Venetian Hotel. It was 100 deg when we arrived here on the strip. We had dinner that evening then later we walked on The Las Vegas Strip taken in the atmosphere, and having a couple of quenches along the way. The Hoover Dam, Nevada, USA - 2015.